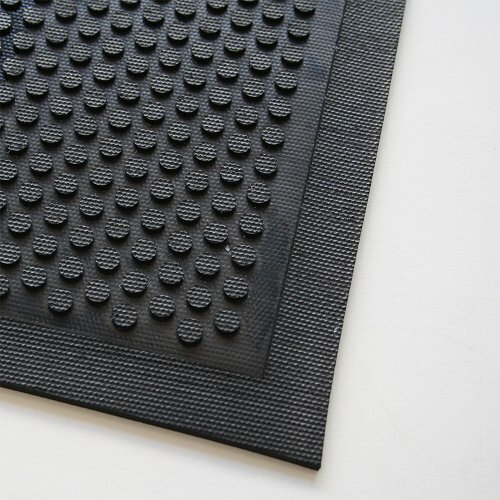 Being 100% rubber this is a fantastic mat for wet and dry areas and is a fantastic alternative to carpet topped matting. It is durable and long lasting with and embedded logo design that won&apos;t fade or scratch off over time. 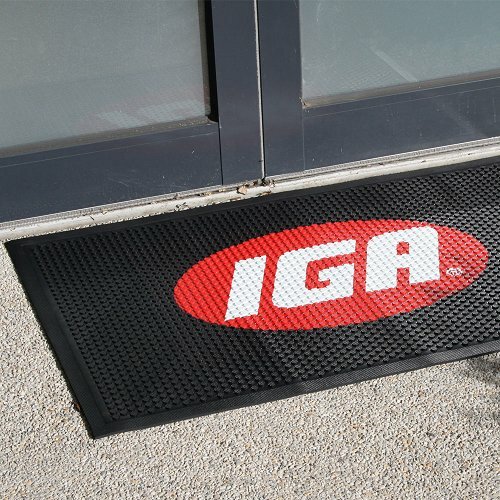 If you are looking for a mat that can take any type of weather and still come up looking brand new this is the one. Its containment borders and raised circular rubbers remove dirt and debris. 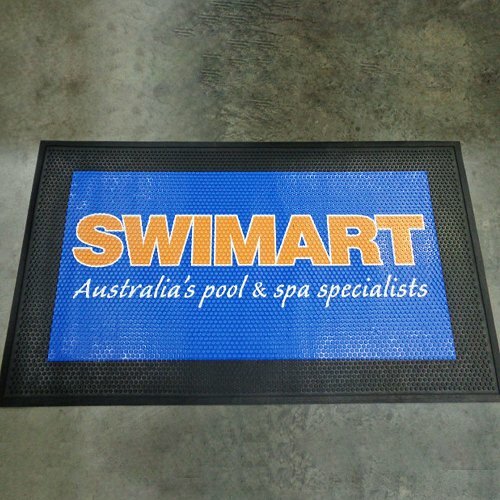 This mat is suited to both full colour digital print and spot colour artwork and has a maximum artwork design on a black base.